Codling moth levels are generally regarded as being fairly high in the East of England this year, but I don’t think we have had it as bad as some regions. My orchard has not been sprayed in nearly 30 years and I do not use traps. I would think that my level of infestation is at around 30 percent of fruits damaged. I have heard of places in the Southern Counties where the losses are much higher. Leeds – normally minimal codling moth damage with just greasing trunks but this year around 50% on both the few bushes and the remaining 30 upright cordons. Only Newton Wonder and Herefordshire Russet have escaped. I had hoped to collect some pears from an old tree near Wetherby for identification. Visited at the beginning of July to check if any fruit, and some small fruitlets present. Returning last week they hadn’t grown at all, (1.5cm!) when usually normal sized fruits are produced. Several growers seem to have had problems with codling moth but that’s not the case with me. Very little damage for me and as I’m 100% organic chemicals haven’t been keeping them at bay! Pears have proved a little more difficult. 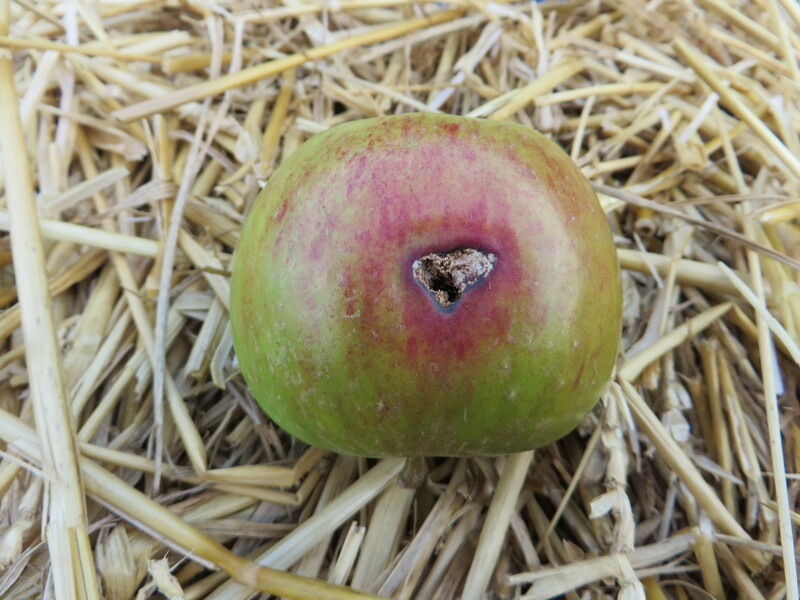 A few weeks into the Apple Day Season and we have found that many of our apple identifiers and lots of our ‘customers’ are reporting very high levels of codling moth damage – and also very bad infestations of scab. 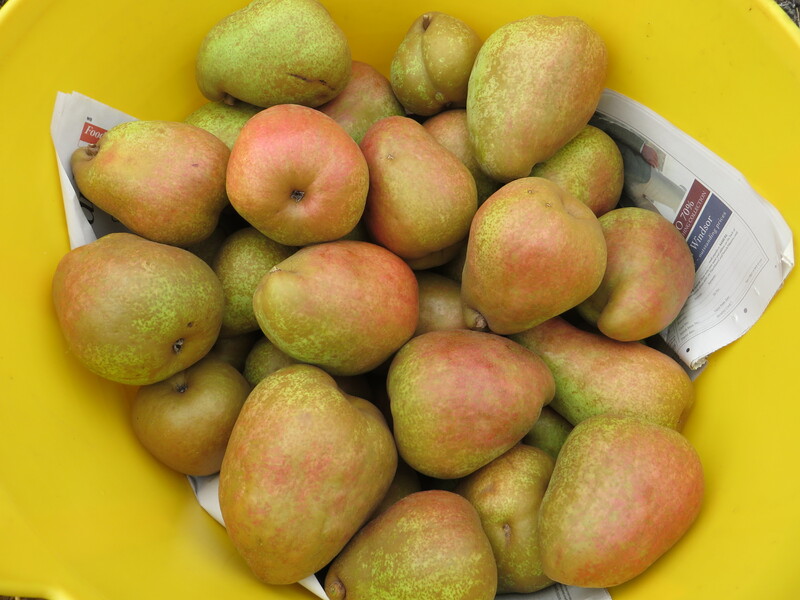 One of our identifiers (from Sussex) has reported devastating losses in his personal collection and has told us that one of his local Apple Day events has been cancelled because the codling moth damage was so widespread. Here on the Fens, codling moth damage is definitely elevated this season. However, apple scab has been equally devastating in our area, to the point where fruits have been so seriously deformed that identification is very difficult. I can confirm that this year in Shaftesbury, north Dorset, the Codling Moth ate through my apples, verily on a biblical scale. I don’t spray, trap or grease band my trees and accept the yearly losses as nature’s share. However this year the average infestation rate must have averaged 50%. The Winston was rather cleaner but the Red Ellison was a record-breaking 90% infested. A friend with an old orchard in nearby Henstridge confirmed that it was also the worst year she had known for the moth. I am left wondering if the plague is a one-off or whether I should set pheromone traps next year.